The University rents vehicles for official state business in accordance with Section 301.260 RSMo. The vehicles are rented through a State of Missouri, Office of Administration, Division of Purchasing and Materials Management contract for Vehicle Rental Services. The State Vehicle Policy, SP-4, (which can be downloaded from below) governs the usage of state vehicles. 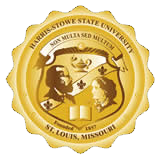 In order to request rental vehicles for official state business, an Enterprise Vehicle Rental Request form should be completed and can be saved as an attachment and emailed to morrowb@hssu.edu and barskys@hssu.edu or returned to the Business Office through campus mail. The Enterprise Vehicle Rental Request form can also be downloaded from below. This form will then be sent to the vendor in order to request the vehicle(s). STATE OF MISSOURI ADMINISTRATIVE POLICY, SP-4, State Vehicles.